The Relatives have been around longer than most Pickathon attendees have been alive. But it’s been 30 years since the gospel-funk band from Texas has existed as an outfit. With some help from Matt Strmiska and Zach Ernst of Black Joe Lewis & the Honeybears, The Relatives distinct brand of gospel tunes with a rock edge was the best surprise of Friday night. Touring in support of their first new album in a very long while, the quintet of gospel singers brought a whole new flavor to the Pickathon lineup. Unlike most other bands who re-form after such a long time off, The Relatives hardly seem to have missed a step. 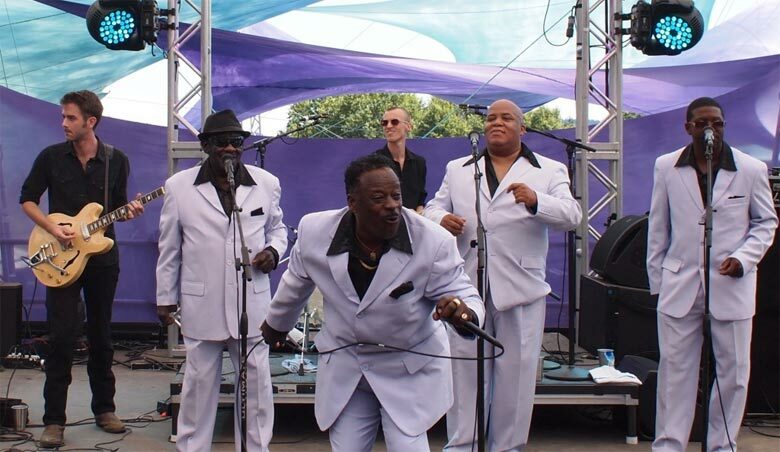 Age has slowed them down a little, but founding brother Tommie West’s howling voice was as good as new as he commanded the crowd to dance the night away. About 14 hours later, the band was back at it on the Main Stage — achieving a rarity for the lazy Pickathon blanket crowd; almost everyone is standing by the end of their second afternoon set on Saturday, leaving one of those mixed reactions following the conclusion of their set. It was one of the best things you’d see all day, but you definitely had to feel bad for whoever was going on next. Parquet Courts may only have one album under their belt, but these young Brooklynites have all the energy to close out a night. As the last show at the Galaxy Barn on Saturday night (heading into Sunday morning), 1:00am seemed like the perfect time and only time the quartet should be witnessed. They plowed through last year’s fantastic Light Up Gold, throwing in just as much new-school rock fuzz with their old-school punk rock riffs. It was a sweaty and drunken mess for the brave souls still standing after 13 hours of music, alcohol, and sun, and Parquet Courts made sure not to disappoint. They took the stage, thrashed out their sound and walked off of it just as quickly and furiously as they arrived. Although their set at the Main Stage on Sunday was still brimming with as much energy, the muted, blanket-lying crowd that populated the outdoor Main Stage took a little bit of the snarl out of the band’s guitars. Simply put, Parquet Courts, although they have a big sound, need that sound contained within walls, where the only way to release is to completely blow the roof right off. Now here is a hard-working band. JD McPherson and the rest of his ’50s-style gang were late to their very late scheduled Friday night show in the Galaxy Barn. The reason? The band had been playing in Seattle earlier that evening and gotten stuck in traffic on the way down. JD McPherson literally went from a show, to the bus, straight back to a show in about three hours time. Fittingly, the band looked a bit worn when they finally started playing around 1:30am — but in no time at all, the music had gripped their soul, and they rifled through their set. 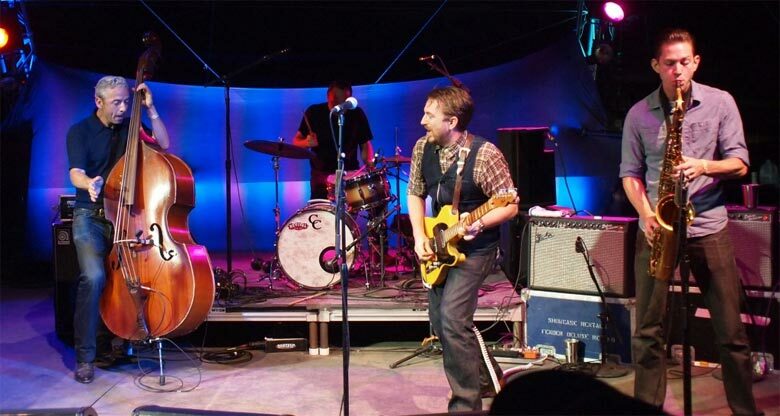 McPherson plays a retro style of rock n’ roll with a heavy dose of rockabilly throughout. The entire band looks like they have spend the last 60 years hanging out in a 1950s diner, waiting for the right time to emerge back into the light. His sound is vintage, but not in a way that alienates people who never lived through that decade. McPherson is on a mission to prove that the good ‘ol rock n’ roll is ageless, and he does a rather great job proving that. The entire band furthers that mission after they have a bit of sleep. JD McPherson’s Main Stage show on Saturday evening was one of the highlights of the entire weekend, as a large portion of the Main Stage crowd was up and jumping to sounds from when life used to be just a bit easier. Ty Segall is such a prolific songwriter that no matter how much you like his music, it is close to impossible to keep up with all of his new releases. It is that frenetic energy that Segall puts into his releases that reflect in his live show. Feedback and reverb echoing; stage divers diving off stage as just as many try to clamor onto it: these are the trademarks of a Ty Segall show. Good on Pickathon to take that completely out of the picture for Segall’s first show of the weekend on the tranquil Woods Stage. Also, good on Segall to adapt his performance to fit the venue accordingly. Segall and his bandmates sat in a semi-circle under the wooded structure of the stage and swapped their electronic noise for acoustic beauty. Segall still shredded, as to be expected with his brand of sunny garage rock. And though it was hardly a muted performance — really still one of the most energetic of the entire weekend — it was just delivered completely differently than you would have expected. 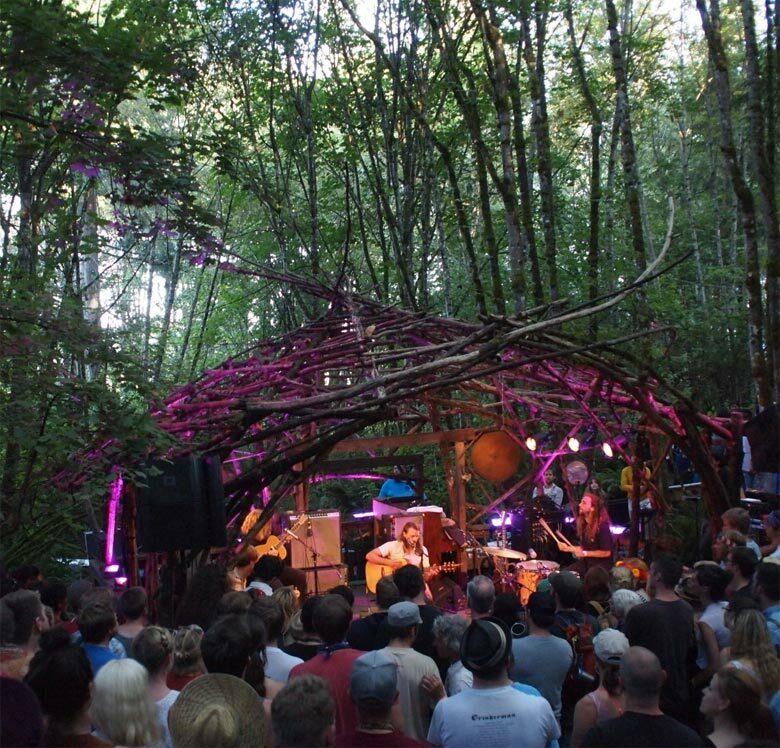 Segall’s set summed up the beauty of Pickathon: things can be a bit quieter — life can be a bit quieter — but that doesn’t mean you aren’t rocking your brain out just as hard. For most purposes, it seems like Pickathon is a festival for the elderly. It is completely kid-friendly, and plenty of kids are there to let you know it. There isn’t any PBR for anyone to swill unless they smuggle it in themselves. But at some point, the rock spirit inside has to grow up just a tad bit, and Pickathon is the festival to prove that life is still just as much fun as the years past by.